After some of the team already gain their first DTM experience from 2000 to 2005 for Opel, they win the trust of BMW in 2012, now under the name of brandscape. 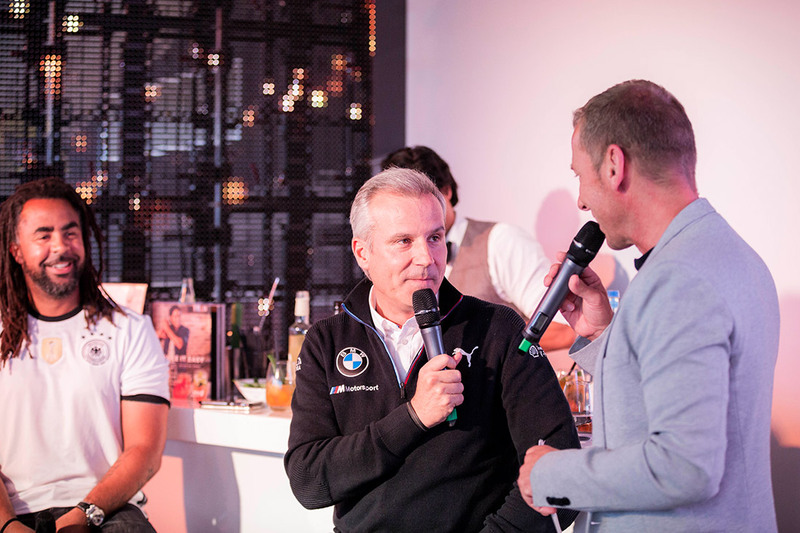 Since BMW’s re-entry to the DTM 7 years ago, brandscape is now an integral part of the BMW Motorsport family. A 7-year relationship: That’s already a long time in private life. But especially in the fast-paced event business, it seems like an eternity. Yet the constantly changing composition of contacts on both the client and the agency side are used positively to continuously develop the project further – in order to break new ground. But all those involved have one thing in common: For all of them, this is a project of the heart. Sports in general and motor sports in particular transport emotions. So the team is cheered on together, just as much as wins are celebrated and defeats are overcome together. This close relationship between BMW Motorsport, BMW, brandscape and all the other partners involved is one of the guarantors of the project’s success. Because at the end of the day, this feeling is also transferred to the most important protagonists: the fans, whether as VIPs in the BMW Hospitality area, in the paddock at the BMW Erlebniswelt or at home in front of television screens. 7 years of DTM – that means 67 race weekends, 104 races on 12 different race tracks in 8 countries. The hub of the event is the BMW Hospitality area, which is constructed and dismantled more than 49 times during this time. In its now second version, the two-storey tent provides enough space for a team and media area, as well as for up to 400 VIP guests in the large version. For all of them, the Hospitality area is like a second home, where everything is taken care of. Every year, brandscape is responsible for the communicative event concept throughout the season. Due to the close cooperation and the large wealth of experience, brandscape also participates in the development of the guiding communicative idea. The extensive media coverage of the Hospitality area is adapted to the new conditions and redesigned every year. 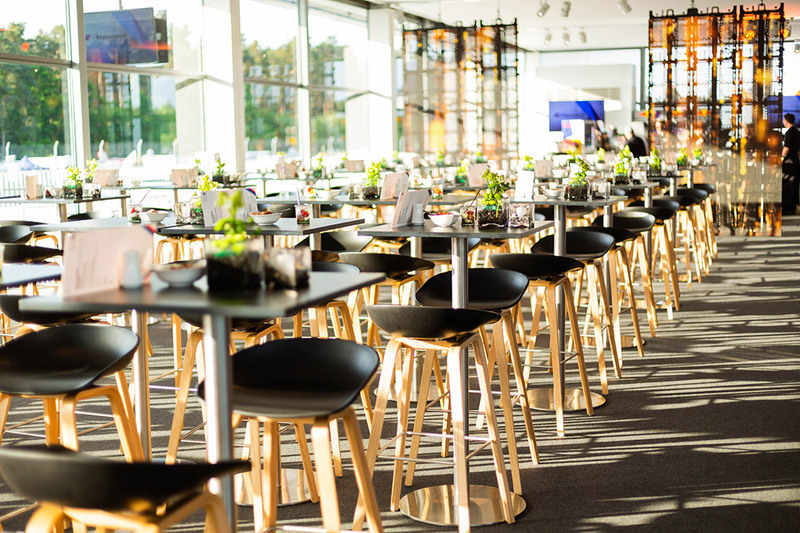 During a race weekend, motorsport talks, analyses, theme talks, and competitions take place on the stage in the Hospitality area. 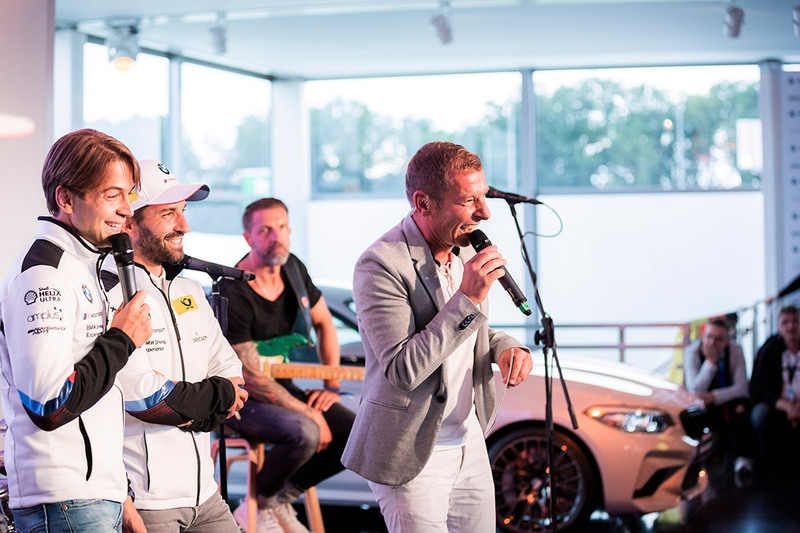 In the daily programme it’s always a matter of mastering the balancing act between motorsport newcomers and old-established DTM fans, and entertaining everyone equally well. At the evening events these contrasts dissolve and it is simply a matter of seeing out the day together in style. 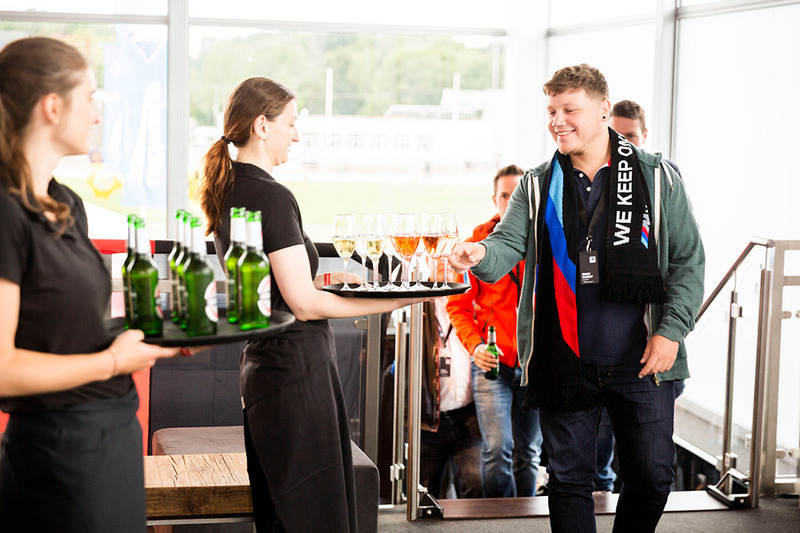 From exuberant parties with live music and DJ’s, to mixing cocktails together with the DTM drivers or the joint public screening of various World Cup and European Championship football matches, it’s all been done before. 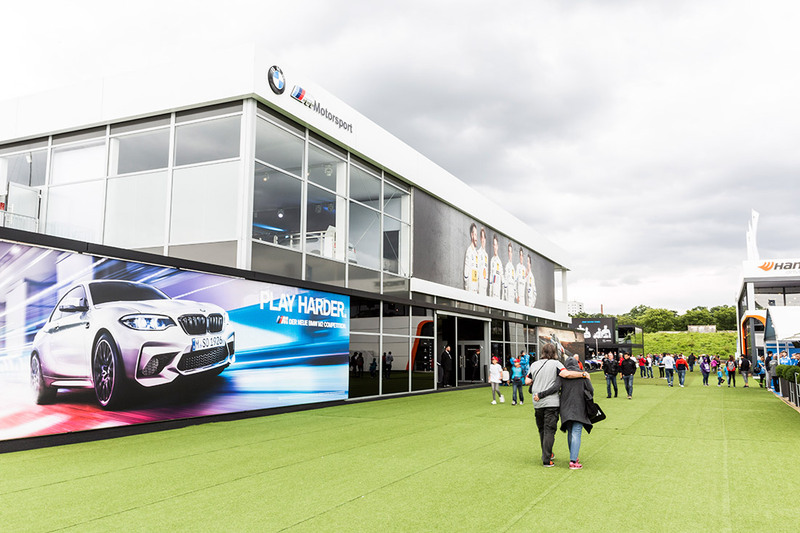 As the lead agency, Brandscape manages all the involved partners and is responsible for setting up the Hospitality area, the BMW Experience World and, depending on the race, a BMW Race Lounge above the pit lane. Trying to describe this process, from planning to setup, the coordination during the race weekend and the dismantling in only one sentence would be utter madness. In practice, there are tons of e-mails, telephone calls and meetings that, in the end, lead to everything functioning smoothly. This is where brandscape coordinates all the involved partners and is in many respects the interface between BMW and ITR as the organizer of the DTM. On the whole, the DTM is a very good example of a project in which customer and agency work together for many years to create an appealing and dynamically developing brand image. This is a sign of great trust for which brandscape would like to express its sincere thanks.